With Autumn in full swing and the festive season sneaking up on us I decided it was time to call on my friend Lucy from Born At Dawn to show me her latest collection. Do you remember I blogged about Born At Dawn and their Night In Service before? You can read that post here if you missed it. 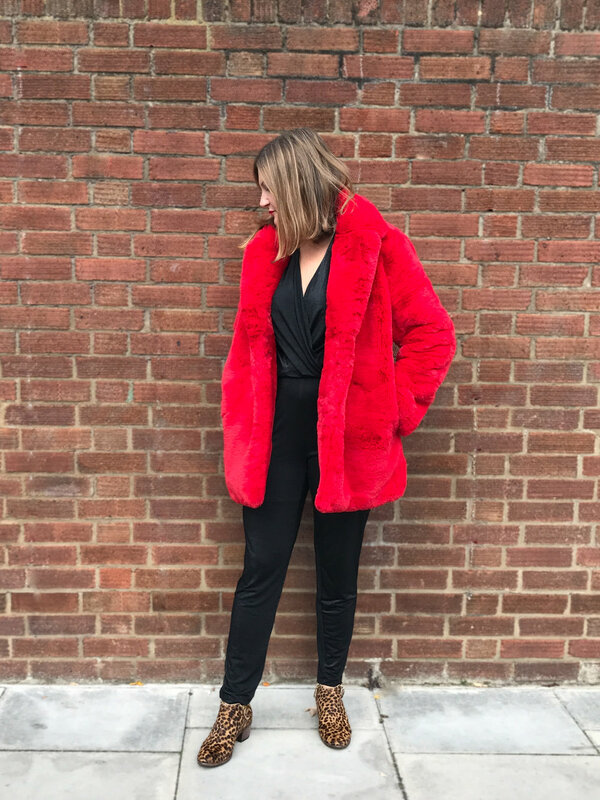 For this post I've picked out some of my favourite styles that I think would make perfect mama wardrobe pieces - timeless and stylish. 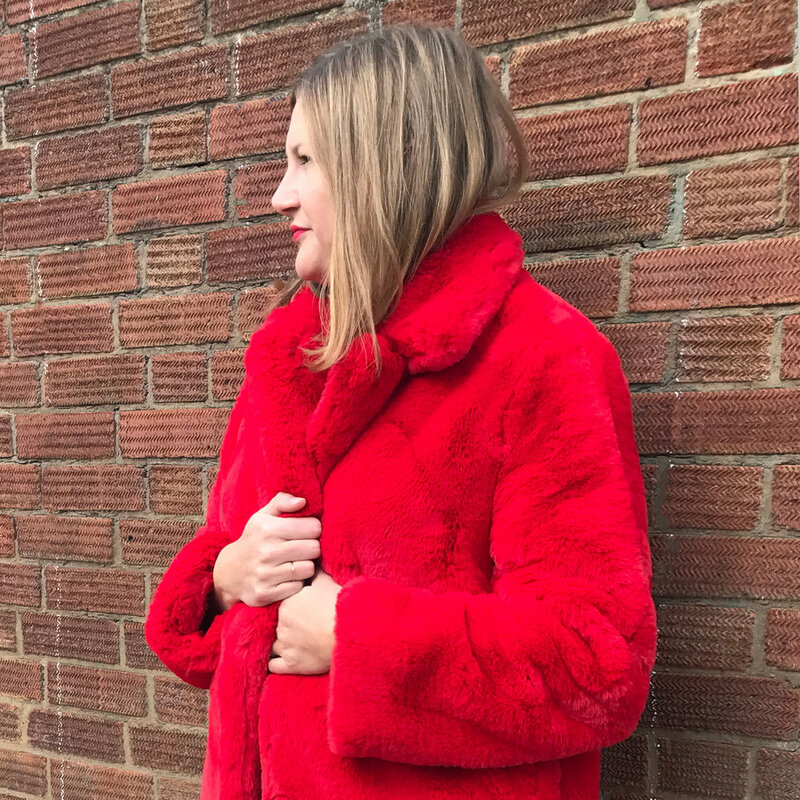 They work day to night and yes, I am completely obsessed with that red faux fur jacket! 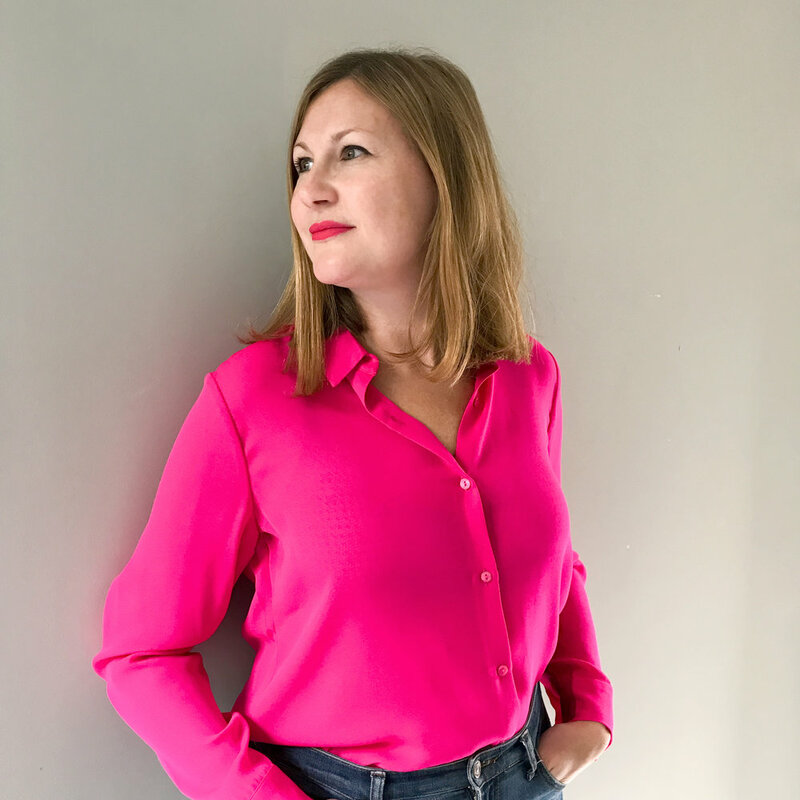 Lucy came and snapped a few pics of me in my home last week and it was great to catch up with her, you can catch her at Stylist Live this weekend too. 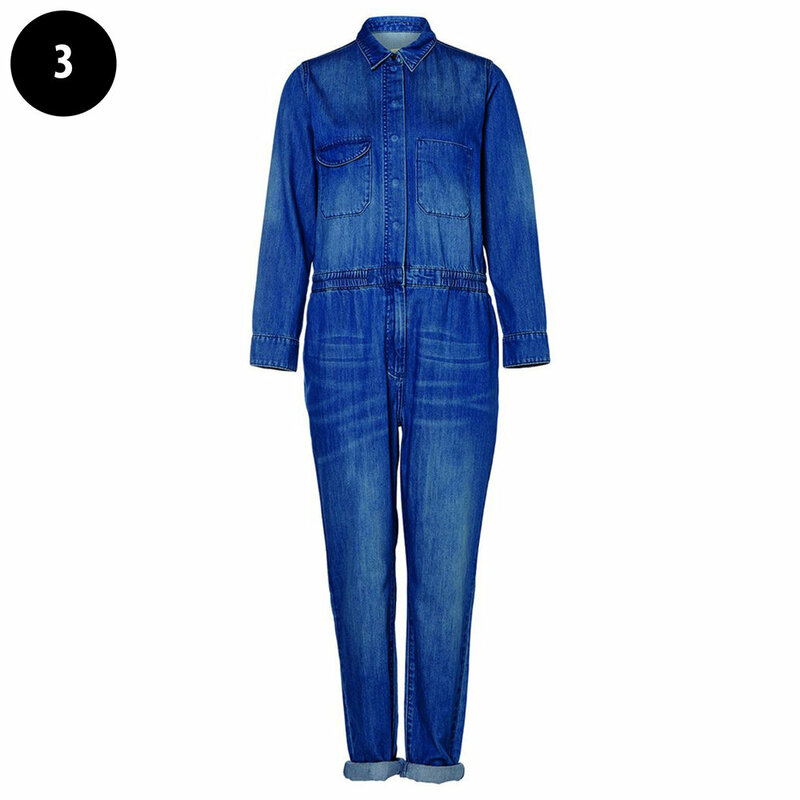 My top picks include some of my fave things - leopard print, stripes, shimmer, denim, faux fur and bold colour. I especially love her coats and jackets selection this season - leather, aviator, shearling, trenches, velvet and biker styles. The Aviator Shearling Jacket is really great quality and good value at £120 - the perfect everyday jacket. I've linked everything in the images and below. The shimmery fabric makes this feel really luxe and festive party. Its very comfy however probably suits a slightly slimmer frame than mine as the fabric is not forgiving! You may also need to wear a cami under it. Perfect leopard print dress. It has splits at the side so you do need to wear something underneath - you could even wear it open as a duet type coat. This print also comes in another dress, shirt and top shape. 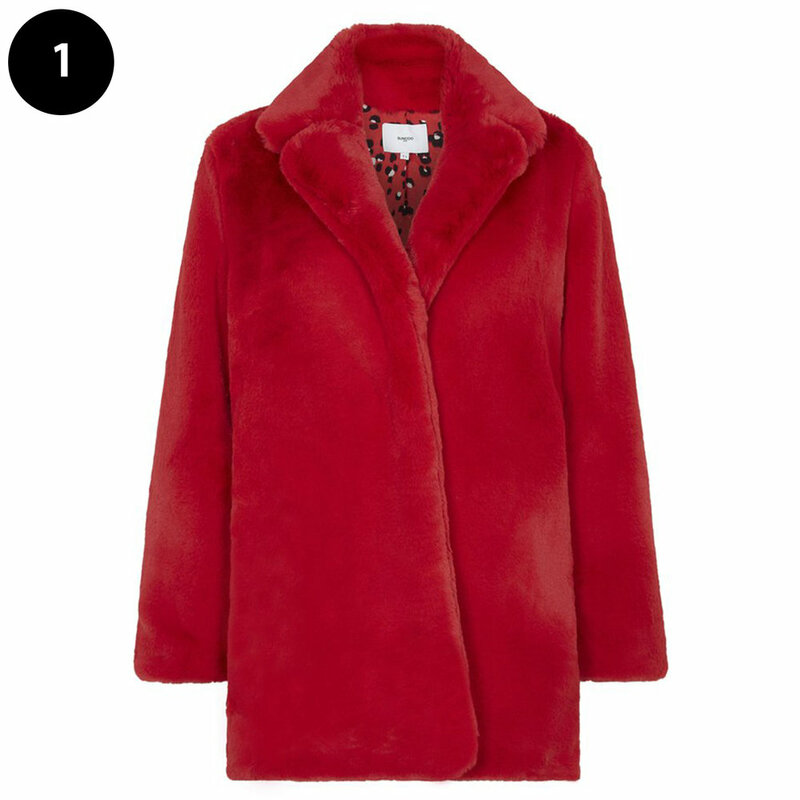 Reversible so it's well worth the money - 2 coat looks in one! 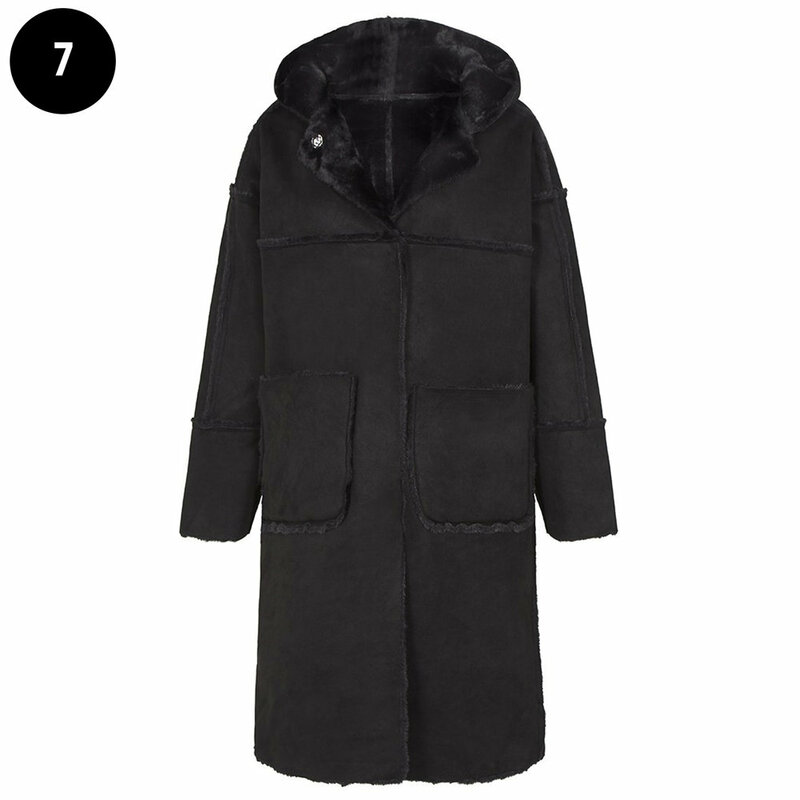 Furry and cosy goodness and black is always classic. A complete classic but in super bright pink! I love the idea of wearing this under a grey blazer with blue jeans or jazzing it up to go out with leather trousers or black jeans and heels! The ultimate party dress. It is quite short so you can always pop skinny jeans underneath. They also have a top version. Thanks to Lucy for taking the photos!